ant to ensure that your kitchen is always at its best. Whatever design you might have in mind, NorthWest Construction is here to help you turn your dream kitchen into a reality. Homeowners choose NorthWest Construction because they’re confident in the attention to detail that goes into our work, appreciate the quality they’re getting for the price they are paying, and trust that we can deliver on their expectations, thanks to our excellent reputation. At NorthWest Construction, we understand what goes into quality remodels, and we have the licenses, certifications and experience to ensure that you will be satisfied when our work is done. It’s All About the House! As a family-owned business, NorthWest Construction lives, eats, and breathes construction in all its forms. We are dedicated to providing quality materials and workmanship at reasonable prices, all without compromising our integrity. We’ve been in business for more than 10 years but are backed by more than 25 years of experience from our founder Terry Burke. We have delivered solutions to all sorts of home improvement needs over the years and we are confident that we can provide you with whatever you need to improve your home. North West Construction is open Mondays to Fridays 8:00 am to 6:00 pm and Saturdays 8:00 am to 3:00 pm for your convenience. We are located in Dearborn but also serve Dearborn Heights, Birmingham, Bloomfield, Canton, Detroit, Farmington Hills, Livonia, Northville, Novi, Plymouth, Royal Oak, Southfield, Taylor, Westland, and the surrounding communities. 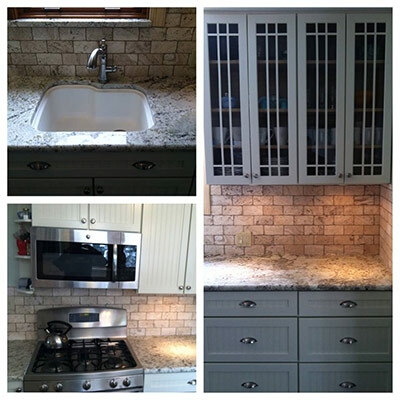 Give us a call today at (313) 277-7676 to learn more about our kitchen remodeling services! You can also submit your information through our online contact form on the right side of our website.